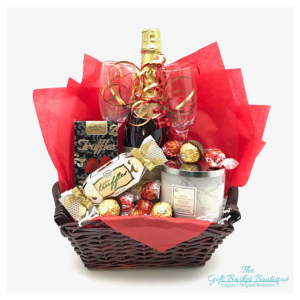 Say it all and more with a sparkling beverage, a big, beautiful ice bucket, two glasses, large candle, and truffles, and Lindt dark chocolate bars. 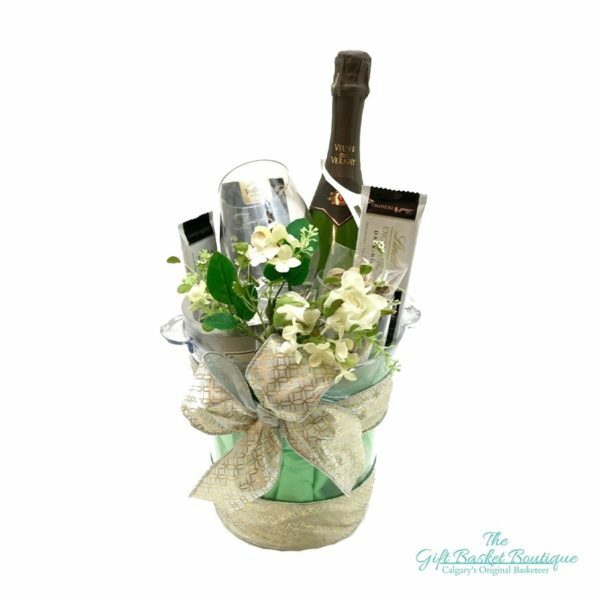 Very elegant- A favorite for congratulating, new years wishes, and corporate events alike. A complementary card is included in every order. Looking to make the perfect toast? 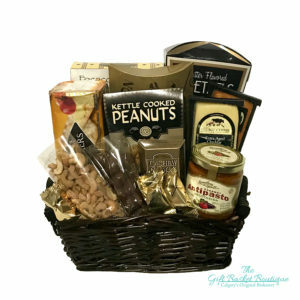 You are looking for To Toast The Occasion Gift Basket. Raise your glass to bring in the new year or put the perfect touch on any toast. 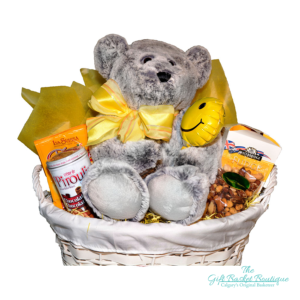 Want to customize your gift basket? Choose from one of our addons or call the store directly at 403-287-1505 if you don’t see what you want listed on the site. 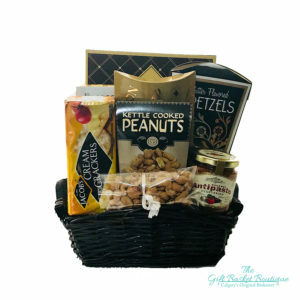 The Gift Basket Boutique is happy to customize any of our gift baskets or build a completely custom gift basket.